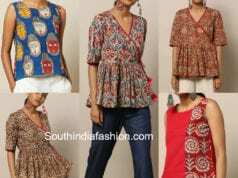 Kalamkari blouses are in vogue right now. Think if there has ever been a day in the recent past that you have not seen those cute Buddha heads or the goddess face on blouses. 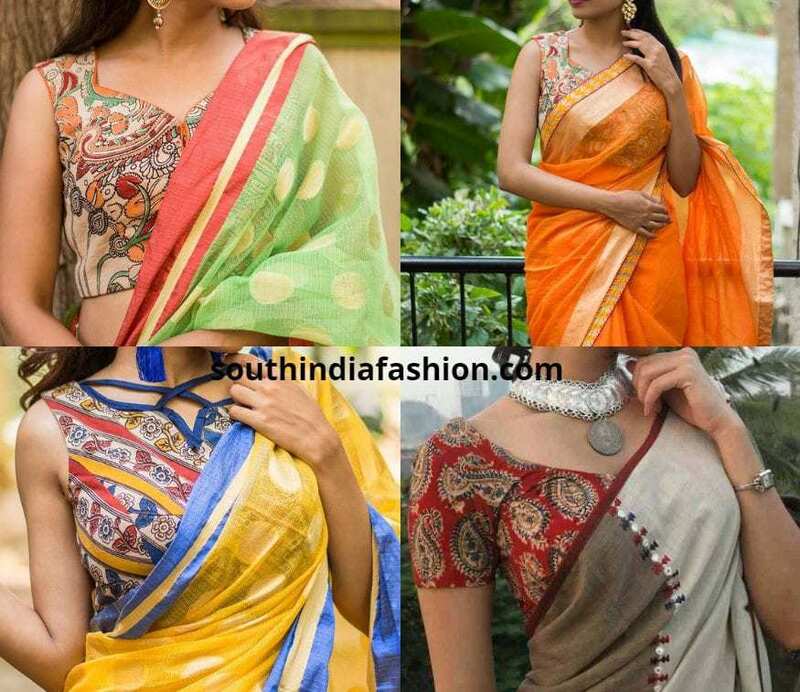 Now that these Kalamkari blouses are the trend what are the kind of sarees you can pair these with? 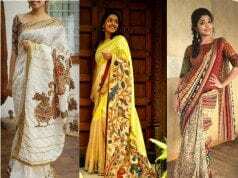 Here are the top 5 saree choices to pair it up with. Linen and cotton sarees are your best choices for anything formal. It adds that touch of elegance. Instead of wearing that plain blouse in saree or border color add some jazz with these pretty Kalamkari blouses. You can do the collared sleeveless style or a regular high collar blouse. 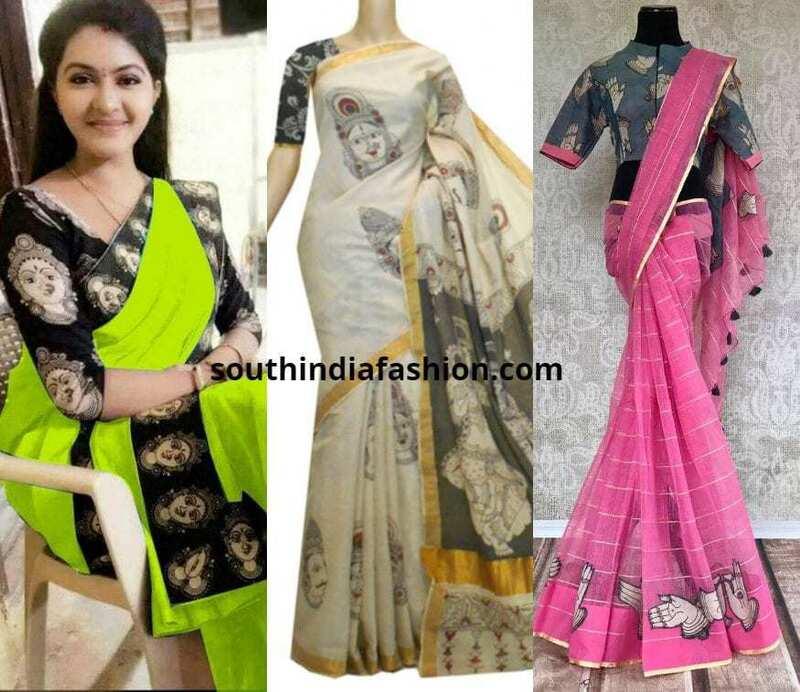 The latest is pairing a good chettinad cotton saree with a contrast Kalamkari blouse. Silk sarees are an eternal part of our wardrobe. 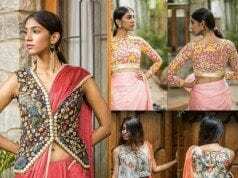 How about sprucing them up with these fancy Kalamkari blouses? Pick up deeper color blouses with intricate Kalamkari work. You can opt for contrast colors to add that extra edge. 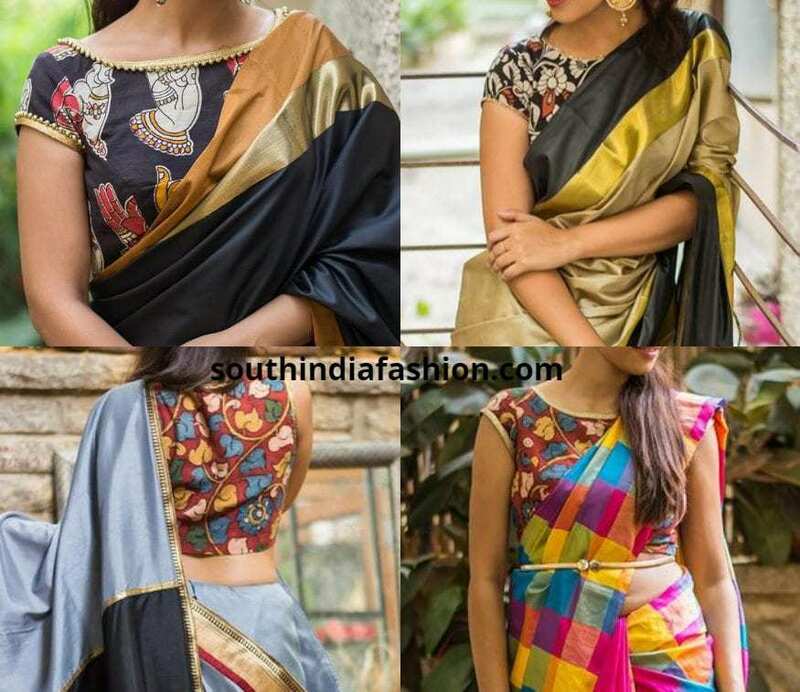 Try this unique combo when you do not have too much going in your silk saree. We constantly experiment with blouses for plain sarees. Another great choice even if it is a georgette or a crepe plain saree is a Kalamkari blouse. You can try all kinds of blouse styles. A few suggested choices would be a ruffled sleeve blouse or anything experimental as this cannot go wrong. 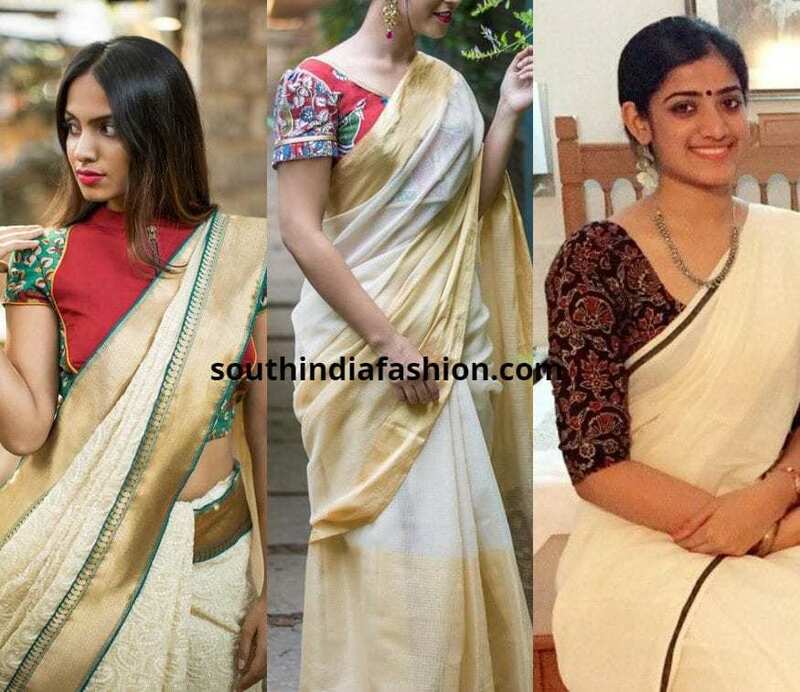 The simple off white with the gold border Kerala saree has been trending ever since Sonam Kapoor flaunted it in Ayesha. Instead of the regular green or red silk cotton blouse choose an interesting Kalamkari blouse. Kalamkari blouses with unique patterns, dual tones will all match with these sarees. When Kalamkari blouses are trending, it is obvious that so will Kalamkari sarees. 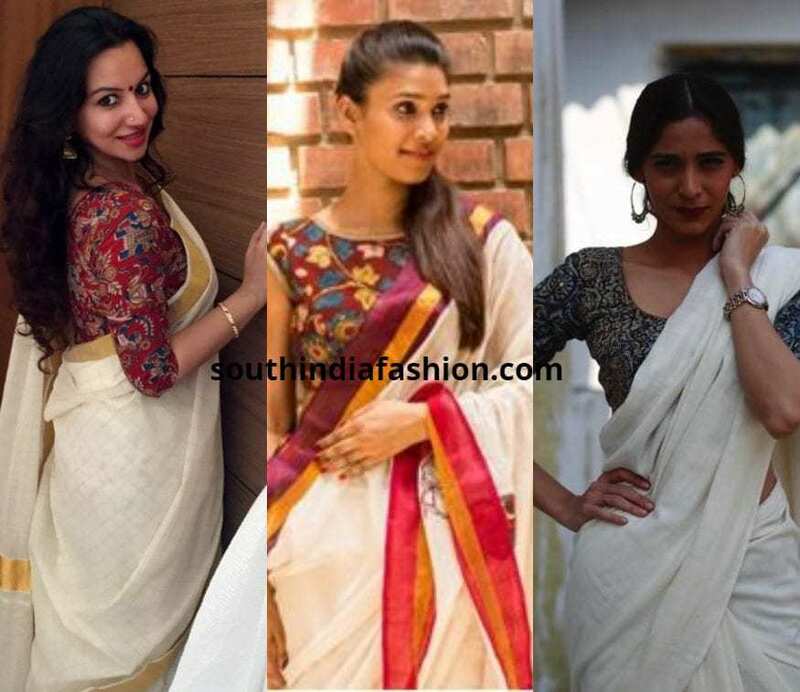 Lots of us feel that a Kalamkari blouse over a saree with a Kalamkari border is over powering. But the fact is ladies, pair it up with a Kalamkari blouse and see how the entire look elevates into a different dimension. 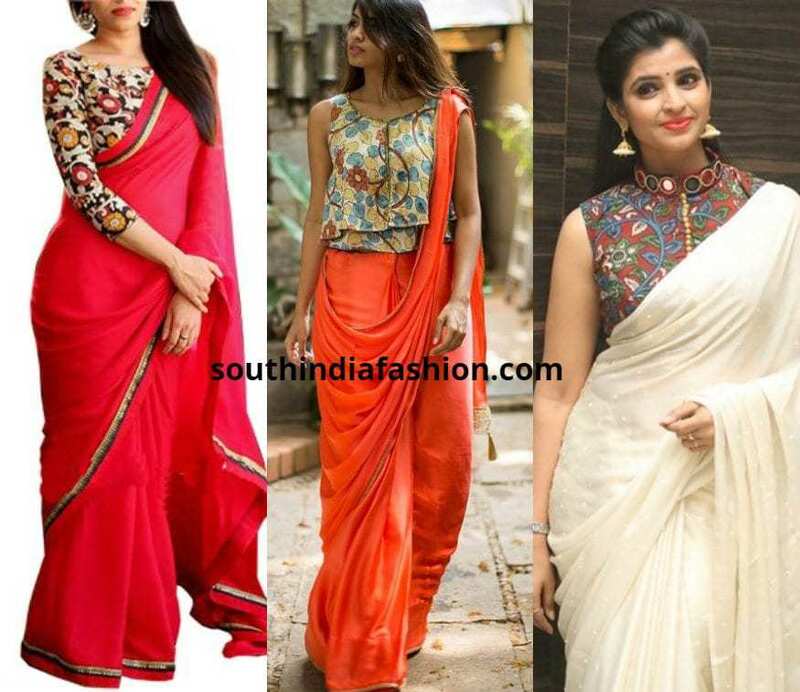 These 5 saree choices are surely a part of your wardrobe. 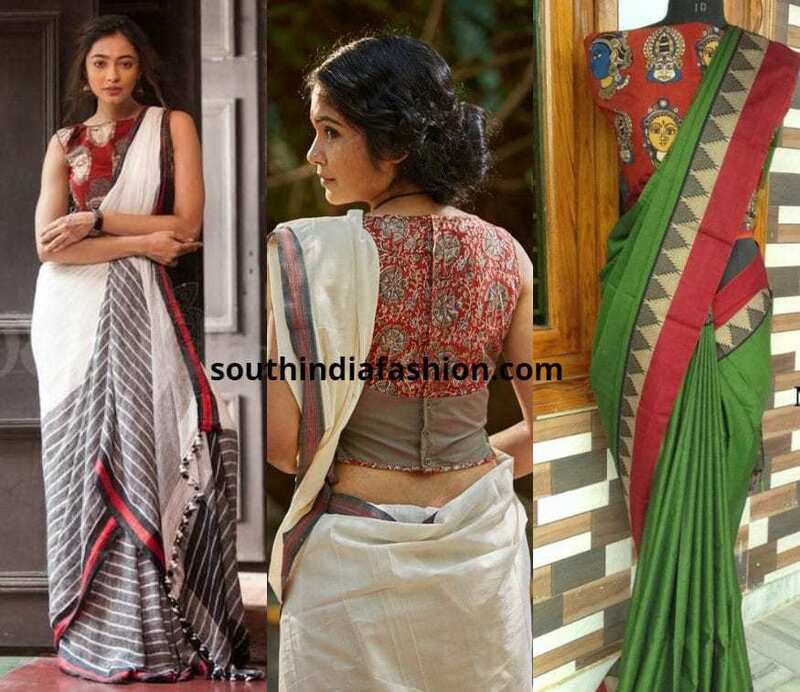 So all you need to do is pick up a few Kalamkari blouses and try out these interesting looks! !